Fantastic 4 Bed 3 Bath home just off State Park Road. 12 Minutes to Downtown Greenville,15 minutes to Downtown Travelers Rest, and 5 minutes to Paris Mountain State Park. Craftsman Exterior with Shaker Shingle ,Stacked Stone, and Hardboard Siding with Gable Brackets. Professionally Landscaped and maintained yard. Covered front entrance with Shaker style front door and Transom Accent windows. Large Private Dining Room with Chair Rail Height Wainscoting and large windows allowing a lot natural Light. Kitchen features Frigidaire S/S Appliances with Gas Range, Granite Countertops, loads of Cabinet space, Pendant Lighting and Recessed, Pantry Closet. Kitchen opens to Great Room with views of the Covered Back Deck and Beautiful Yard. Great Room features Vaulted Ceiling and Gas Fireplace with Stack stone surround. 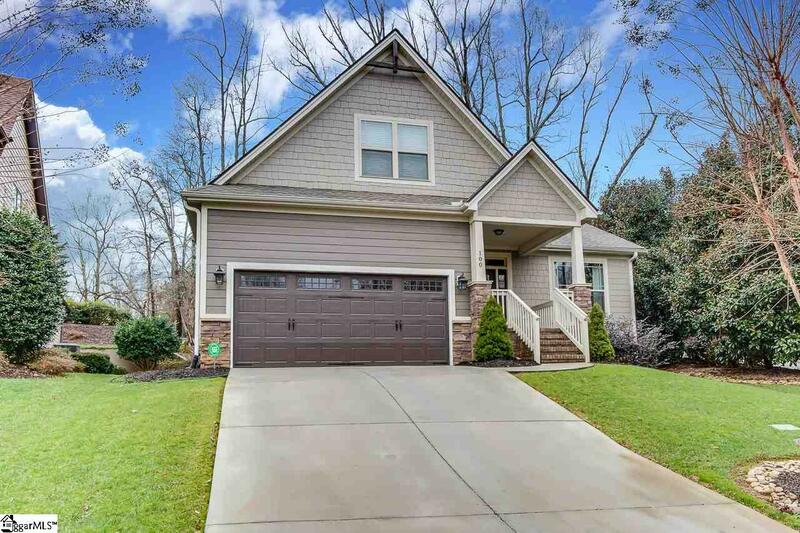 Master on Main with Trey Ceiling, Walk-In Closet, Dual Vanity, Garden Tub, Shower Separate and private Water Closet. First Floor also has 2nd and 3rd Bedrooms with Hall Full Bathroom and Laundry Room. Large Upstairs 4th Bedroom has Full Bath just off of it and is large enough to be used as a bonus if desired. Small hall Attic Door leads to plenty of Attic Storage. Enjoy relaxing and entertaining on the Rear covered deck with private yard. Listing provided courtesy of Michael Mcgreevey of Joy Real Estate.